Is your home and yard handling the summertime heat and humidity? 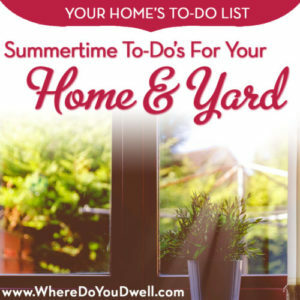 The DMV is known for its hot and steamy weather … so don’t neglect certain tasks that will protect your home and let you enjoy the sunny days ahead! It’s hot outside and you don’t want that heat inside. It’s not too late to keep your rooms cool and delightful even on 100 degree days! Get your A/C system serviced professionally. If you haven’t had your A/C checked out yet then don’t delay any longer. Even if your system is relatively new, you want to get your heating and cooling system maintained at the change of seasons. This preventative service can help you can avoid any emergency problems. Sign up for a yearly maintenance contract with a HVAC company. Having a service contract with a cooling and heating company means that they will reach out to you before the change of every season. That way your system will get serviced at the appropriate time. Plus, if you do have any emergencies in the middle of the season, your service call will be a priority and move to the top of their list. 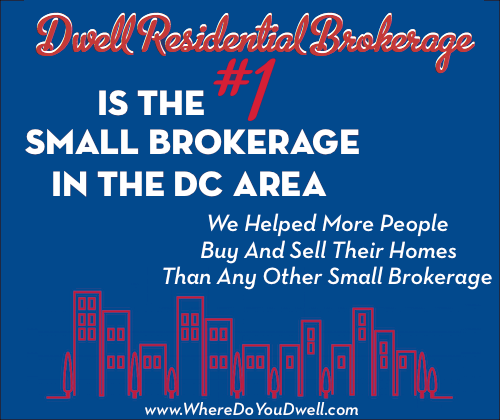 Email your agent here at Dwell Residential for our list of recommendations. Clear away debris around your outside air conditioning unit. Make sure you don’t have shrubs, weeds or other growth too close to your unit. You want it to work properly and be as efficient as possible. Clean and replace your unit’s air filters. Don’t forget to do this and stick to your manufacturer’s recommendations. Your A/C unit will be working in overdrive to keep you cool, so do your part to make it work effectively. You can order air filters online to keep it simple and easy. Go shopping for portable or window A/C units (or even fans). Not every home has central A/C; or maybe some of your rooms are more stifling than others. You might be surprised to see how many more (and improved) options are out there to help keep your home cool over the summer… oscillating fans, ceiling fans, attic fans, window A/C units and portable A/C ones. And many are more energy efficient and less noisy! Summer means higher levels of humidity. This excess moisture in the air causes mold and mildew. High humidity levels can wreak havoc on your home and stuff. It can warp wood and cause condensation on walls. Plus, it damages your electronics, pianos, books, clothing and more. Check your basement. Basements can become musty and moist, especially on humid days. If you have a basement or live in a lower level condo, now is the time to tackle this problem before it gets out of hand. No one wants to deal with health concerns from mold or have ruined items. Get a dehumidifier to remove moisture. Make sure you buy the right dehumidifier and the correct size for the room. You can adjust humidity levels to better draw the moisture out. You’ll find ones that come with a bin that you have to empty or you can connect a tube to a drain so it empties continuously. Whatever you do, don’t buy one that will overflow if you forget to empty it! Keep in mind dehumidifiers vary according to how many pints of moisture they can remove in 24 hours. Manage your indoor humidity levels for summer. Try to reduce the humidity levels to 40-50% at most. Your programmable thermostat may indicate your home’s relative humidity. There are several lifestyle changes and solutions that you can do to help with humidity levels. Ventilate in high moisture areas in your home. Make sure that bathrooms or kitchens have vent fans or at the very least, an open window. (Don’t take long hot showers!) Consider getting a home ventilation or humidification system if you don’t have one so you can set appropriate levels for your home in summer and winter. Run the A/C when you can to curb moisture. And if you have a crawl space, make sure to insulate it with a plastic vapor barrier and install vents. Help prevent mold in your home. Too much moisture in the air is a health concern and can worsen your allergies and asthma. Mold is dangerous and having a dehumidifier running continuously can help reduce your home and basement’s moisture. Again, make sure you check humidity levels in your home and maintain proper levels. If you think you have a mold problem – it even can happen behind walls or under carpets — contact a professional. You definitely want to avoid major health issues for your family. Believe it or not, the summer can be a great time to get your chimney and fireplace swept or to have any other work done on the inside or outside. Since the busy time for chimney companies tends to be in the fall, you might be able to negotiate a great discount now. Give it a shot! Your yard should be in pretty good shape by summer but the heat can take a toll on your lawn, trees, flower beds, and pots. Have your trees trimmed … period. Summer storms and trees full of leaves with unstable branches can only bring disaster. No one wants a tree to crash though their home or hit their car. Call today to make that appointment if you haven’t done it for a couple of years. Better yet, have a tree service come out regularly to ensure your trees are healthy and not diseased. Check on exterior drainage systems and consider improvements. Summer means big thunderstorms due to the heat. To prevent costly water damage to your home, now is the time to make sure all of your drainage systems are operating properly and that they move water away from your home. Consider getting downspout extenders for gutters, having your landscaping slope away from your home’s foundation, or installing storm drains in your yard or even a French drain system. Remove leaves and debris from all area drains, gutters, and window wells. Again, preventative maintenance when it comes to water overflow damage. Prevent this from happening by monitoring and continuing to clean up around your home. Add a splash of color with some annuals that can withstand the summer heat. As you enjoy your yard, patio or deck this season, bring some color to your surroundings. Work with your local garden center to see what will thrive best in your yard, especially if you have direct sunlight or if want more low maintenance plants. Keep Watering. As the temperature rises throughout the summer, keep watering your lawn, plant beds, and containers. Don’t water in the middle of the day with the hot sun, but do it in the early evening when it starts to cool down. And if you head out of town, don’t forget to ask a neighbor to continue to water as necessary. Clean, power wash or stain/seal your deck and patio. It’s still a good time to get your deck and patio power washed or cleaned. Brighten them up and make them sparkle for your summer entertaining. It’s also a good time to protect them with new stain or sealant. And, don’t forget about having your home’s siding power washed or cleaned, depending on what the manufacture recommends. It’s good to be vigilant when it comes to mosquitoes, ticks, rats and other summertime pests. Make it a standard practice for your yard, and continue to monitor and adjust during the summer months. Keep mosquitoes from breeding in your yard. Mosquitoes love standing water – any amount! So do your part to cut down on places where they can breed. Double check for standing water in your yard and any outside containers – such as wheelbarrows, flowerpots, buckets, watering cans, garbage cans, kids’ toys. Even the little bit in your gutter drain can lead to breeding. Store items in your garage and shed as much as possible. Be proactive about mosquitos – both larvae and adults. Take protective measures for mosquito control to prevent larvae from flourishing. Look into non-toxic solutions such as nonchemical larvicides (Mosquito Dunks for larvae; Mosquito Bits for adults); goldfish, koi, and mosquitofish that prey on these pests; and solutions to make the water “move” more. Put the Dunks or pellets in your gutter drains to prevent larvae. Make sure your door and window screens don’t have holes. A simple task you can do today! Walk through your home and check all of your screens. No one wants a buzzing mosquito nearby while trying to sleep! You can patch a screen yourself if you like … check out DIY instructions on YouTube. Use an oscillating fan to blow mosquitos away. It’s an easy solution for an outside gathering on your deck or patio. Plus, a standing fan is great way to cool things off on a hot night too. Hire a pest control service to manage any summertime problems (rats). The summer means more spiders and, yes, rats. Do your part and keep your garbage contained and clear out debris in your yard so you don’t have a tempting “home” for critters. A pest service can offer suggestions and solutions on how to deal with any problems, inside and outside of your home. Avoid having long grass to prevent ticks. Mow your lawn regularly and remove leaves and debris, where ticks can thrive. Check yourself, your kids, and pets after being outside. Take advantage of summer mornings or late afternoons for some outside projects that need ventilation or sunny weather. Fumes won’t bother you and items can dry in the sun. Spiff up inside or outside furniture. It’s a perfect time to strip, sand, or stain any flea market finds. You can even spray paint something a fun, bright color without worrying about the mess (still put down newspapers or covering to protect your grass or patio). Clean windows and screens. If you haven’t done this yet, a summer morning is the perfect time before it gets too hot. Spray wash your screens with a hose and the summer sun will dry them quickly. Remember to enjoy your summer! Please contact us for any recommendations for service providers. Here’s our handy PDF version of the Summer To-Do List.